npa0528_met_mbaftermathd25: Singles: News-Editorial: Award-Winning Evansville Photographer: Molly Bartels specializing in editorial, wedding and art photography in Evansville, Indiana. 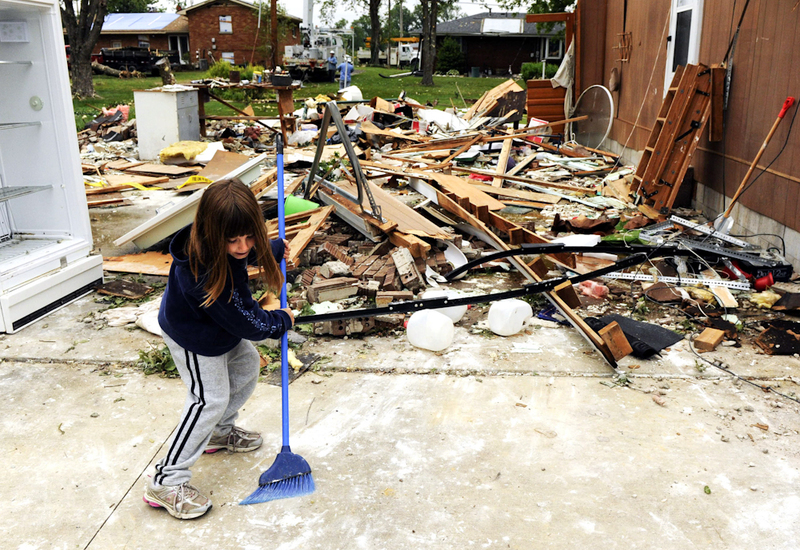 Whitney Johnson, 6, cleans up around some of the destruction at her grandmother's home at 106 S. Weber Drive in Haubstadt, Ind. Family members believe a tornado hit the home when a line of severe storms blew through the area the night before.